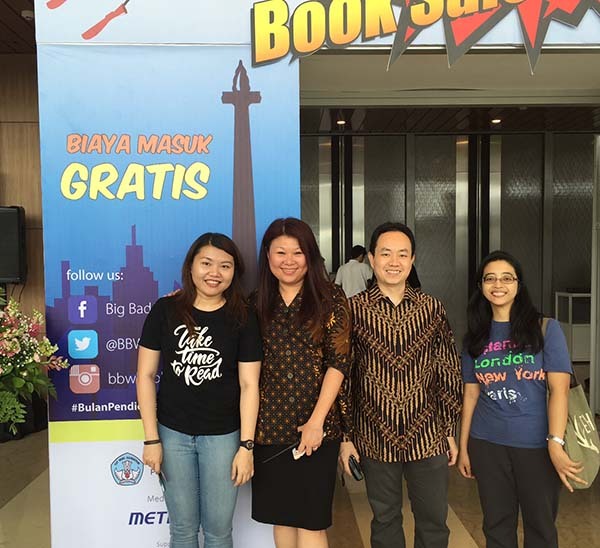 Indonesia Book Fair is trying to gather several publishers, sellers, and try to get them closer to the audience. Besides that, also giving opportunity to other companies or schools to add their library collections, with qualified books from all kinds of source. You can read more about it on IKAPI (Ikatan Penerbit Indonesia) website, www.ikapi.org. This book fair has become annual agenda for book lovers to hunt down new books, as well as older books, with a reasonale price. Every year, IBF always brings up ethnic themes to educate the visitors who come and add patriotism sense. For this year, the theme is Menguak Cakrawala Bumi Parahyangan (Discovering Parahyangan Horizon) as a form of appreciation towards West Java, which is well-known as the biggest "factory" of authors and artists in Indonesia, and one of the main cities that add national literature through their folk tales. Indonesia Book Fair is taking place from Oct 2nd to 10th, at Istora Senayan Bung Karno. Its target is to get 95,000 visitors. Besides book fair, IBF 2010 will also have various competitions for students.